The holidays are a time of joy to spend with family and friends. 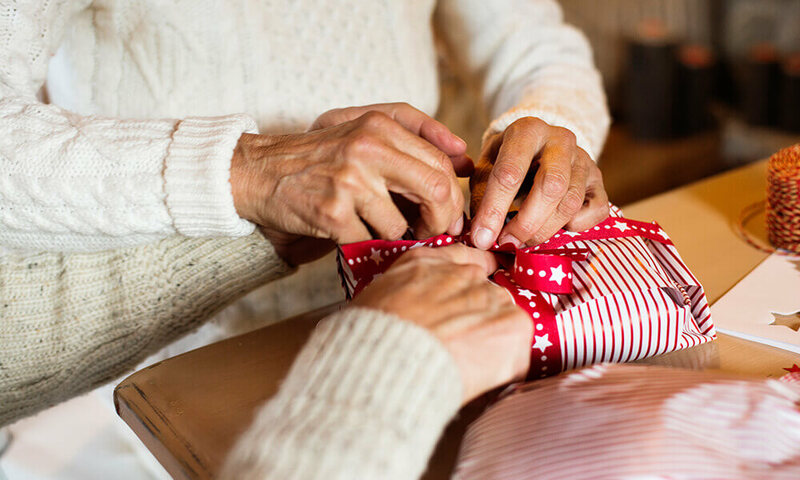 Unfortunately, many older people suffer from seasonal depression and, more specifically, feel a deep sense of loneliness during the Christmas season. Holidays can be stress filled, and Christmas cards can be a reminder of tragedy just as quickly as they can bring joy. 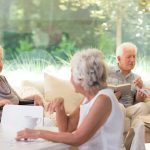 Older people are especially susceptible to feelings of loneliness and depression; this year, don’t let your them face seasonal depression alone. 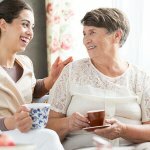 There are a few things you can do to ensure the older people in your life feel loved and appreciated during the holidays. This week, we’ve put together a quick guide to helping baby boomers beat the blues this Christmas season. The most important thing you can do is recognize whether your loved one is just sad or is suffering from seasonal depression as these are two very different things. It’s completely normal to be disheartened after receiving bad news; this does not mean someone is necessarily depressed. They are simply grieving. However, if your loved one is expressing continuous thoughts of loneliness or sadness, has an unusually short temper, or is unusually anti-social for long periods of time with little to no reasoning as to why, he or she may be suffering from seasonal depression. Expressing persistent feelings of loneliness or dread, whether verbally or through writing, is one of the best indicators of this problem, so listen to your loved ones closely. Depression is surprisingly easy to spot if you know what you’re looking for. This is mostly true for seniors with dementia or Alzheimer’s disease, but can still be true for those who feel overwhelmed by the holiday season. 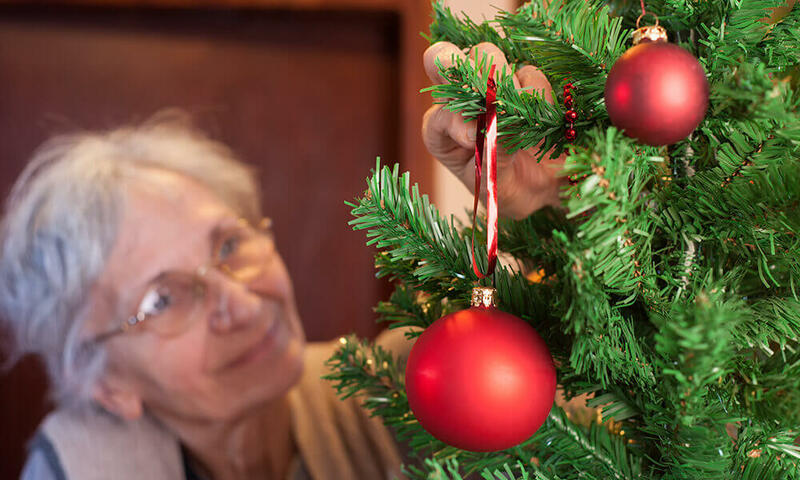 It can be distressing for some older people to deal with the hassle of decorations everywhere, especially things like bulky trees. It disrupts daily life in a way that can be detrimental to make a big shift like moving furniture, not to mention it’s a chore to clean up after. Keep decorations minimal and off the floor as these can be a fall hazard for older people, causing undue stress or anxiety. Try baking holiday treats with loved ones and sending some home instead of decorating their room to decrease clutter and stress. Cards are an easy way to show someone you care. Have family and friends send cards to older loved ones, especially those in assisted living facilities. Cards help people feel remembered, loved, and appreciated. They also remind older people suffering from seasonal depression that good things are happening! Encourage people to send cards featuring pictures of their family, children, and pets. Your loved one will enjoy hanging up the cards and regaling their friends with stories about the people they love most. The holidays can be a tough time for older people who have lost loved ones, especially a spouse. Encourage them to talk about people they have loved and lost. It’s cathartic to remember the people who are no longer with us during the holidays. Look through old pictures and cards from previous years or compile a scrapbook as a fun way to reminisce about good times with loved ones instead of focusing on the negative. When planning your holiday gathering, grant your elders a seat at the head of the table. If they dislike being the center of attention, pull them aside with a special card or present of appreciation. 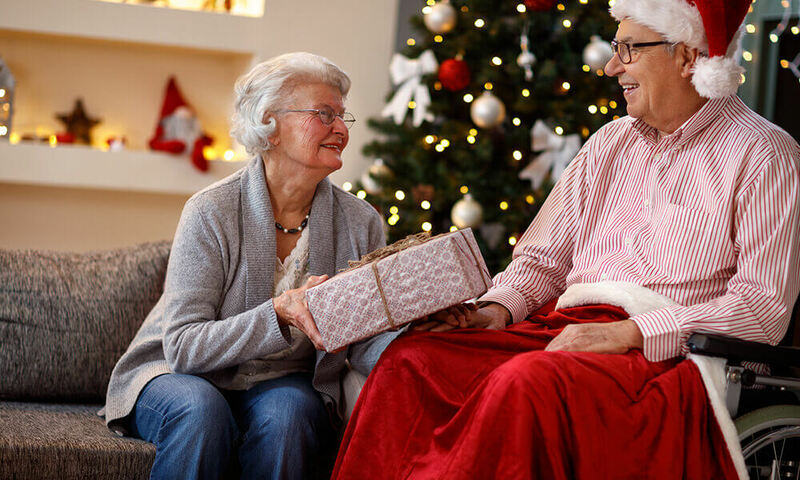 Just telling older people how much their wisdom, advice, and care has meant to you over the years can do wonders for those who are struggling this season. Remember, while these are suggestions are meant to help older loved ones cope with seasonal depression, they may not always work. If you suspect a loved one is struggling with depression this holiday season and they have had similar struggles in the past, talk with them about potentially seeking medication if these strategies don’t work. Working with a physician in extreme cases can help your friend or family member enjoy the season to the fullest.